Growing up in Royal Oak Township, in Metro-Detroit, Shirley, at an early age loved old buildings and vintage clothing. When she realized that the Catholic church she had grown up in was going to be shut down, she wanted to record it’s history and try to save at least some part of her community, so she wrote a book! 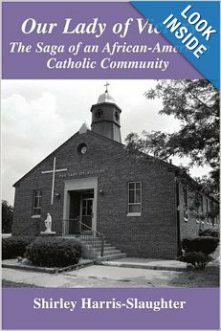 OUR LADY OF VICTORY: THE SAGA OF AN AFRICAN-AMERICAN CATHOLIC COMMUNITY is a must read for all. And if you’re a history buff, that’s just a bonus! Shirley recently stepped down as Newsletter Co-Ordinator here at RRBC, as she is embarking on a new journey…she has more stories to tell. She now sits among the vast number of members we have and she continues to serve, but in another capacity…she is a Tweet Support Team Member and we’re glad to have her in any capacity she chooses to serve in. She is one uber-supportive member and we appreciate the time she gave us in our news room, and we will continue to appreciate her service on the TST! We hope that you will support Shirley by visiting each stop on her blog tour, sharing your comments and thoughts, following her on Twitter @SHarrislaughter, befriending her on Facebook, and most importantly, supporting her awesome book! Sunday, 6/8/14: Rebecca Nolen – Things We Cannot Control!! Monday, 6/9/14: Harmony Kent – Culture Shock! 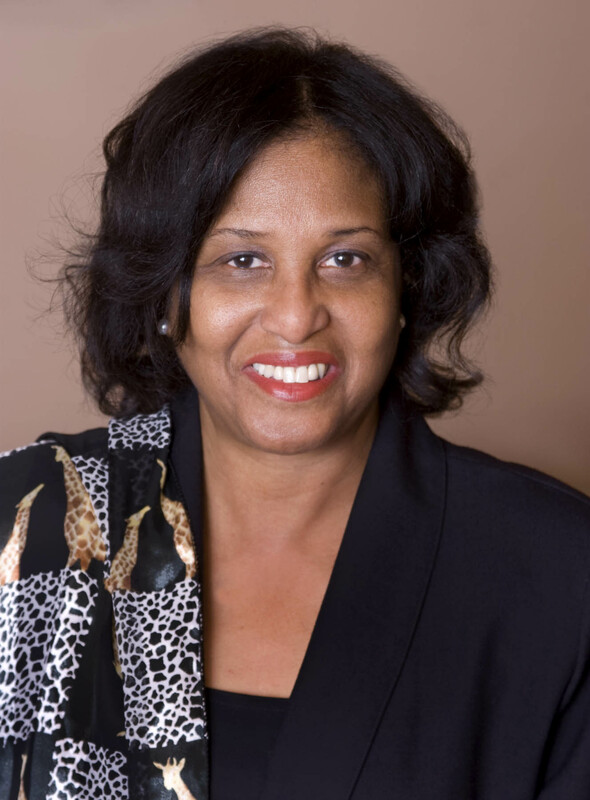 Tuesday, 6/10/14: Jo Jenner – Ethnic Injustice or Intimidation? Friday, 6/13/14: Michelle Abbott – Preserving History Against the Odds! Saturday, 6/14/14: Jenny Sherwin – DEJA VU! Thursday, 6/19/14: Who’s On the Shelf? Saturday, 6/21/14: Joy Lo-Bamijokko – YOU ARE THE ONE YOU’VE BEEN WAITING FOR! When you support Shirley by visiting each stop of her tour, you also support our wonderful blog tour hosts, who were kind enough to serve on the tour. They would also appreciate your comments, as well as your tweets and Facebook shares of the post. See below to check out more of the wonderful SUPPORT Shirley is receiving as a “SPOTLIGHT” Author! 4) A “SPOTLIGHT” Interview hosted by our very own President, Nonnie Jules right here on the Rave Reviews Bookshelf! This will be so much FUN and heavily promoted! 8) After your “SPOTLIGHT” week is over, the link to your blog or website will be listed below. Now, I know you’re wondering how you can become one of our “SPOTLIGHT” AUTHORS. Well, have you joined yet? Membership in our book club is the only way to the awesome title of “SPOTLIGHT” AUTHOR!!! Book selections are about to begin and they will be coming from ourBOOK CLUB SELECTIONS FOR REVIEW page. This entry was posted in My Spotlight and tagged @SHarrislaughter, BOOK CLUB SELECTIONS FOR REVIEW, Facebook blasts, history buff, Our Lady of Victory, RAVE REVIEWS BOARD MEMBERS, Royal Oak Township, RRBC, SHIRLEY HARRIS- SLAUGHTER, SPOTLIGHT AUTHOR, Tweet Support Team. Bookmark the permalink.